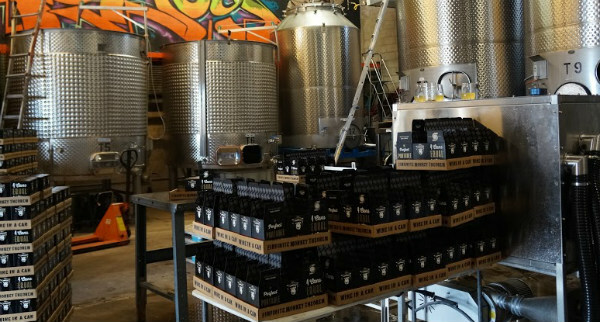 Infinite Monkey Theorem, a winery that cans, kegs and bottles Colorado grapes at 3200 Larimer St., is working to can a Bellini — a blend of peach juice and sparkling wine — by fall. And the company recently introduced a canned pear cider to accompany its four canned wines. “There are so many places where you can’t have glass, and I think this year, people have started to say that (canning cocktails) is a good idea,” said Ben Parsons, Infinite Monkey Theorem’s founder and CEO. Parsons said he initially expected to sell 500,000 cans of wine by year-end. But the company surpassed that number in June, and Parsons anticipates sales to grow even faster during the fall and winter, when the company sells about 80 percent of its wine. The canned wine’s success inspired Parsons to launch the pear cider last month. The company has sold 14,000 cans of it so far, Parsons said, and another 50,000 cans are ready for packaging. “One thing leads to another, and we think other products can be created that would be better in a can and more accessible,” he said. He’s also working with Allegro Coffee, a Thornton-based company owned by Whole Foods, to create a canned cold brew coffee. “If everything aligns, it could be out by November,” Parsons said. Parsons started the business in 2008 by bottling wine in a warehouse on Santa Fe Drive. He began kegging it in 2010, and it’s now sold on tap in about 60 restaurants in the state. 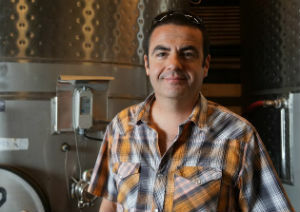 He first canned a Moscato in 2011 and expanded the product line to include a Chardonnay, a Merlot, and a Syrah rose. But customers were slow to embrace the idea at first, he said. “Maybe I was a bit too early,” he said. The company’s canned wine took flight last year when Frontier Airlines began selling it in the air. And this year, the cans are starting to roll throughout Whole Foods stores in more than 40 states. Other companies, including Oregon-based Copa di Vino and California-based Stack Wines, have tapped into the single-serve market by offering wines in plastic cups.